Have you ever imagined fishing in your local river? If not yet then, you should try it today! Fly fishing is also a fun sport that is a hobby for some people and even an addiction to a few of them. However, it is quite easy to catch fish at the time of fly fishing, but still, it can turn into a nuanced and quirky. So, what you think from how you should begin this water game? Got any idea? Well! In the below article we are going to provide you some useful tips that will help you in catching fish during your fly fishing travels. Imagine you are only a few feet away from your target, but suddenly you frighten the fish and miss the opportunity to catch it in the net. It is imperative that you always target for the fly to make a landing within the area of one foot of your goal. While traveling in a fast running drift boat, if you see a pocket of water having a fish then, you should try to be correct enough or self-assured in your casting so that you hit the right aim in an only single cast. The wrist of your hand must be straight and relaxed without any breaking or bending so that you can easily do the casting. The art of wrist action during the casting involves the right working of the rod in the correct line while catching the fish. As soon as you acquire the swing of it, you can feel the casting fluid and smooth with some best spincast reels. At the time of catching fish during fly fishing, you must use the barbless hook so that fish does not get hurt or damaged more. There must be a constant pressure in the line for the right landing of the catch. The line dragged tight, and fishing rod should be high. If your fish moves in one direction then, you should move your rod in the reverse direction. With the release of the tension, the fish might quickly sneak out. Write down about the river you fly-fished, the type of fly you used, the time you start the fishing, and how was the flow of water or the temperature, etc. If you write all these things then, it will help you in keeping a record of your catches that can help you a lot in your future trip’s success. The period of late June till September is the perfect time for the fly fishing. Try to evade the winter season as the cold weather make the fish lazy, and they are less expected to catch your fly. During the summertime, the scalding temperatures and bright sun increase the water temperature in the evening that makes the fish less energetic. So, you should try to go either in the evening or morning towards the river. It is essential that you use the right fly that is tempting for the fishes that you are aiming for. You should know about the bugs that are living inside the river and also ensure that the flies that you are using match with the hatch’s lifecycle you are casting. In case of any doubt, use the worms that fish loves always. We suggest knocking the doors at the privately retained areas to get permission for fly fishing. You can move to the regions where other people can’t reach with the help of private access or through a boat. If you are on public land then, don’t be scared to walk far away from the trailhead as the extra distance you move, there will be lesser folks in your competition. We don’t recommend wearing the white hats or the bright colors during the fly fishing. These colors easily noticed by the fishes, and they might spook quickly. The colors you wear should be soft and match the soil so that it gets merged into the natural background. But the most important thing is that you should be comfortable in what you are wearing according to the weather. You should also try to spend maximum time of your trip in the bait or local fly shops nearby the river in which you are going to do the fishing. These males and females are better acquainted with these waters in comparison to anybody else. They can provide you the info like the best time for fishing, the best place for fishing, and which flies and techniques you can use. It does not matter that whether your first try is fruitful or not, the trout of the river will rapidly teach you the requirement for carefulness and stealth. Every time walk slowly and cautiously, evading quick movements which give off numerous ripples. You have to make a balance during the fish caught by getting too close but without spooking them. 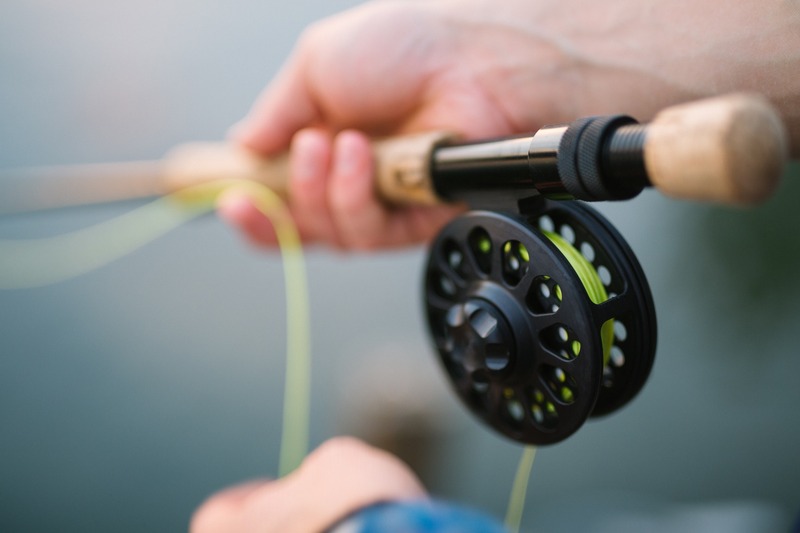 A maximum number of fly anglers has utilized numerous types of tips for catching fish during the fly fishing travels, but the most crucial thing that they admit is the correct landing of a fish on the fly rod. The above-discussed tips in the article will surely go to help you in getting a sense of achievement and an exceptional feeling while catching fish. We assured that these tips are going to benefit you in approaching your local river with self-confidence for catching the fish in the first attempt successfully. Of course, there are lots of things that you will learn with your own experience. So, begin with a steady speed and start moving at your pace. Don’t wait more and get yourself a fishing rod, map, and smash the water today! Hi! I'm Demi - founder and editor in chief at Outdoorsdoc blog. Here, I will share everything I know about enjoying and surviving the outdoors and sports. Whether you love to go outdoors, you will find interesting and informational articles on this blog.